WASHINGTON, DC, December 20, 2104 (ENS) – The first national regulations to provide for the safe disposal of the ash left after burning coal to produce electricity were announced Friday by the U.S. Environmental Protection Agency. After years of delaying action on issuing a coal ash rule, the EPA was under a court order to issue new safeguards by December 19. On that date, the final rule for coal combustion waste was issued under the Resource Conservation and Recovery Act. The National Resources Defense Council, NRDC, and other environmental groups had urged the agency to classify coal ash as a hazardous waste, which would have required stronger oversight, safer disposal methods and phase-out of the coal ash ponds. Instead, the agency classified coal ash as non-hazardous, requiring fewer safeguards and protections. Environmental groups warned that every year utilities produce more than 100 million tons of coal ash laced with arsenic, lead, and other pollutants. Some 40 percent of it is safely recycled into concrete and wallboard, but every year millions of tons are dumped into poorly regulated ponds, landfills and abandoned mines. Without proper safeguards, these storage facilities can leak toxic pollutants into drinking water supplies. Slesinger points to an incident earlier this year that released 27 million gallons of polluted water from an unlined coal ash pond in North Carolina into the Dan River. “Unlike the majority of environmental standards, which are backstopped by federal enforcement, this rule all but leaves people who live near coal ash dumps to fend for themselves,” said Slesinger. EPA Administrator Gina McCarthy says the final rule is strong enough to prevent groundwater contamination and air emissions from coal ash disposal. “EPA is taking action to protect our communities from the risk of mismanaged coal ash disposal units, and putting in place safeguards to help prevent the next catastrophic coal ash impoundment failure, which can cost millions for local businesses, communities and states,” she said. “These strong safeguards will protect drinking water from contamination, air from coal ash dust, and our communities from structural failures, while providing facilities a practical approach for implementation,” she said. 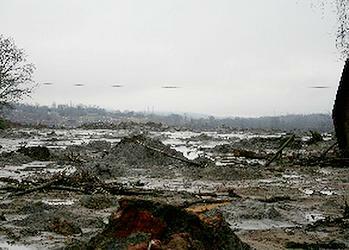 The final rule establishes safeguards to protect communities from coal ash impoundment failures, like the catastrophic spill in 2008 by the Tennessee Valley Authority, a federal agency, from a coal-fired power plant in Kingston, Tennessee. After the failure of the TVA coal ash pond in Kingston, the EPA began assessing more than 500 facilities across the country. The agency found that improperly constructed or managed coal ash disposal units have been linked to nearly 160 cases of harm to surface or ground water or to the air. Before issuing the final rule, the EPA evaluated more than 450,000 comments on the proposed rule, took testimony from eight public hearings, and gathered information from three notices soliciting comment on new data and analyses. Senator Barbara Boxer, a California Democrat and the outgoing chairman of the Environment and Public Works Committee, said the EPA missed an opportunity to fully protect the public and the environment. Environmental groups, too, warn that the rule is not strong enough because it doesn’t classify coal ash as hazardous waste. 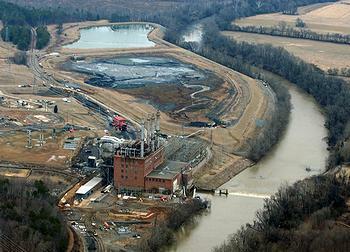 There are nine coal-burning power plants in Alabama that generate 3.2 million tons of coal ash waste a year. This waste contains high levels of toxic chemicals such as mercury, arsenic, selenium, lead and other heavy metals and is typically dumped into giant sludge lagoons for disposal. Few, if any, of these waste dumps have protective liners that would keep contamination from seeping into surrounding groundwater and nearby streams and rivers. For instance, the Gadsden Steam Plant’s coal ash pond discharges waste water less than a mile upstream of the Gadsden Water Works drinking water intake for the Greater Gadsden area. Similarly, the Gaston Steam Plant in Wilsonville, Alabama discharges waste water from its coal ash pond about five miles upstream of a major drinking water intake for Shelby County Water Services. 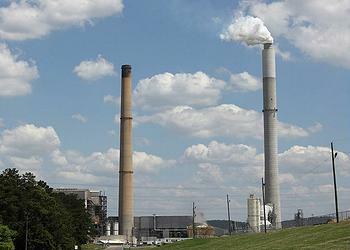 The Gaston Steam Plant is the second largest producer of mercury emissions in the United States. The rule requires that power plant owners and operators provide detailed information to citizens and states to fully understand how their communities may be impacted. The rule sets out new transparency requirements, including recordkeeping and reporting requirements, as well as the requirement for each facility to post specific information to a publicly-accessible website. This will provide the public with information such as annual groundwater monitoring results, and corrective action reports, coal ash fugitive dust control plans, and closure completion notifications. This final rule also supports the responsible recycling of coal ash by distinguishing safe, beneficial use from disposal. Beneficial use of coal ash can produce positive environmental, economic and performance benefits such as reduced use of virgin resources, lower greenhouse gas emissions, reduced cost of coal ash disposal, and improved strength and durability of materials, the EPA says. McCarthy says the EPA is committed to working closely with state partners on implementation of the rule. To ease implementation and harmonize the regulatory requirements for coal ash landfills and surface impoundments, EPA encourages states to adopt the federal minimum criteria, revise their Solid Waste Management Plans and submit these revisions to EPA for approval. A revised and approved Solid Waste Management Plans will signal EPA’s opinion that the state SWMP meets the federal criteria. But the environmental community says this rule does not do enough to prevent future coal ash spills. “EPA’s approach effectively lets the utility industry police itself without federal or state oversight, “said Earthjustice attorney Lisa Evans.